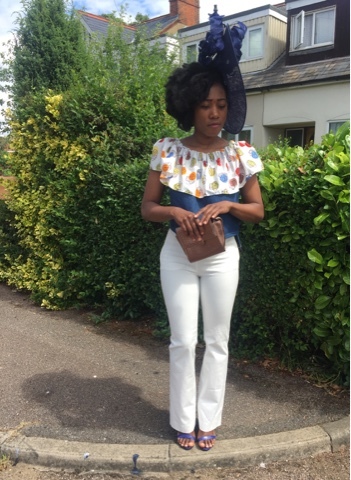 Hello beautiful people happy Sunday. 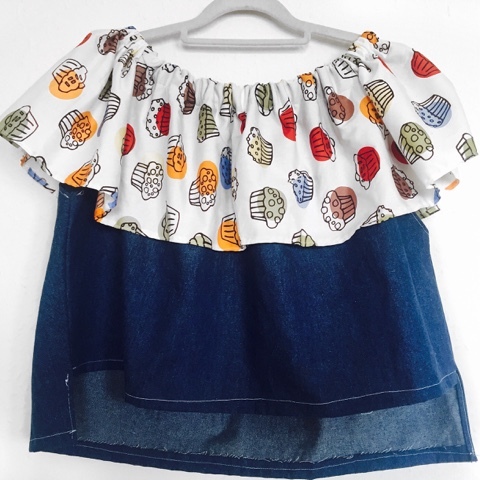 ruffle top that I made, which is so in trend right now. 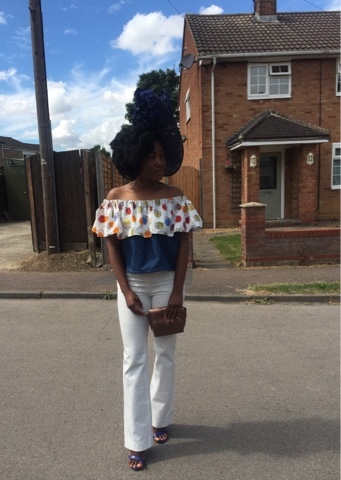 For more details about the top visit my Instagram -@lippie143_fashionspark, there you will also find some of my other designs. 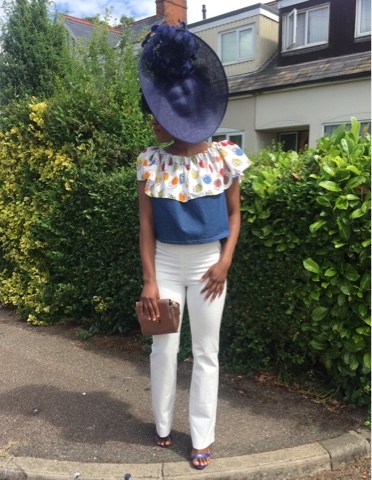 I styled the top with a white pair of trousers, blue heels, a blue hat and a gold lol bag. I decided to get a small bag because every piece I had was making a strong statement.